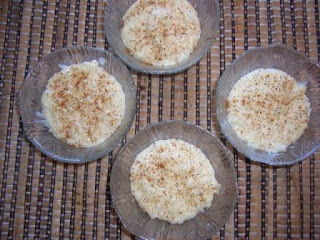 My friend, "The Greek Goddess of Cookery" gave me this recipe for traditional Greek Rice Pudding - "Rizogalo". Sorry, I cannot share the recipe without her permission, but I can tell you it is magnificent, delicious and downright altogether YUMMY. I want to tell her "thank you" and "magnificent" in Greek, but could not find the words on any free dictionaries on line, darn it! I don`t know exactly which school Anthony Seng is teaching at but I´ll find out. What is a plumber???? Can`t find it in my dictionairy. Iris, A plumber put the pipes into your house for water and toilet etc. and fixes leaking taps and things like that. Under this "Leave your comment" in your blog there you can read: "Email follow-up comments to coolelse@web.de I suppose you clicked on it in my blog when you wrote me by an oversight.